At Subway, we want to provide you with information about how we collect and use your personal information. This privacy notice gives a high level overview of our privacy practices, along with how you can contact us if you have any questions. We collect information about our customers and users of our services along with our employees, franchisees, development agents and other third parties. The information collected is either personal information (such as your contact information) or non-personal (such as webpages accessed). We only collect the information we need or that would be useful to us to provide you with the best possible service and experience. To learn more about how we collect, protect, use and share your personal information gathered about you when you interact with the Subway brand online and offline, please select the Privacy Statement(s) relevant to you from those listed above. Please note: some Subway branded websites and applications may be operated by third parties and do not fall within the scope of this privacy statement, such as franchisee operated websites. For more information, visit the relevant privacy statement(s) at the above link(s). Your privacy is important to us. So we’ve developed a Privacy Statement that describes how we collect, use, disclose, transfer, and store your information. It will also tell you about your rights with regard to your personal data. The Subway Group. The Subway Group (we, us or our) is made up of a variety of companies including but not limited to, Subway IP LLC (the owner of our proprietary system for establishing and operating restaurants in order to develop Subway® restaurants worldwide), FWH Technologies, LLC (the owner and licensor of the SubwayPOS® software for use in Subway® restaurants worldwide), Franchise World Headquarters, LLC (a service-oriented company that provides core business related services to other Subway Group entities), the Subway® franchisors (which offer and sell franchises worldwide), and the Subway® advertising entities (which administers national and local advertising funds and activity for Subway® restaurants and Subway® franchisees worldwide). To see a list of the Subway Group entities that may come in contact with your personal information, please see “Our Group Companies” section below. What this statement applies to. This Privacy Statement applies to the personal information that the Subway Group collects when you interact with the Subway® brand online and offline. This includes information collected through our websites, WiFi services or similar technology provided in Subway® restaurants, branded pages on third party platforms (i.e. social networking services), mobile applications, and through our direct marketing campaigns or other communications, as well as, when you purchase our products, subscribe to our news and offers, enter into one of our promotions or contact customer support (collectively, “Subway Services”). Changes to this statement. If we make a change to this statement, we will make previous versions available upon request so that you can see when changes occurred and what they are. If we make any material changes to this statement, we will notify you by means of a notice on this site or by an email (sent to the email address specified in your account). Where we are required by applicable data protection laws, we will also seek your consent to any material changes that affect how we use your personal information. We encourage you to periodically review this page for the latest information on our privacy practices. The personal information we collect falls into three categories: (a) information you provide us directly; (b) information we collect through automated methods; and (c) information we collect from third parties. Contact Information. We may collect personal and/or business contact information including your first name, last name, mailing address, telephone number, fax number, email address, and other similar data. Payment Information. If you make a purchase online, you will be required to provide a credit/debit card number and related financial information (such as expiration date, security code and billing address), or other payment (such as via your Subway® Card), depending on the form of payment you choose. Account Information. We collect information such as your username and password when you create an account, access our online services, or buy our products. Account information may also include how you purchased or signed up for Subway Services, your transactions, billing and support history the Subway Services you use and anything else related to the account you create. Usage Data. This is the personal data we collect about you when you are using Subway Services, which may include information about the date and time of your logins and details of your use of third party applications and advertising you receive. Marketing and Communications. We may also collect your preferences in receiving marketing from us and our third parties. Security Credentials. We collect user IDs, passwords, email, and similar security information required for authentication and access to your Subway® accounts. Information through Social Media. You may also be given the option to link to your Facebook or other social media accounts through Subway Services. Your use of these features may result in the collection or sharing of information about you, depending on the feature. For example, these Features may collect your IP address, which page you are visiting on our site, and may set a cookie to enable the Feature to function properly. They may also allow third-party social media services to provide us information about you, including your name, email address, and other contact information. The information we receive is dependent upon your privacy settings with the social network. We encourage you to review the privacy policies and settings on the social media sites you use to make sure you understand the information that is collected, used, and shared by those sites. Customer Service, Surveys & Promotions. There may be times you provide us additional personal information when you interact online or by phone or mail with our customer support channels; when you participate in our customer surveys or promotions; or to facilitate delivery of Subway Services or to help us respond to your inquiries. Types of additional personal information may include voice recordings, photographs and videos. Information You Provide about a Third Party. You may decide to provide us with another person’s information (such as their name, email, address or phone number) so that we may recommend or send products or services to that person. Local law may require you to get the consent of that person to provide their information to the Subway Group. We may in turn use the information you provide in accordance with this Privacy Statement. If you fail to provide your personal information. Where we need to collect your personal information by law, or under the terms of a contract we have with you, and you fail to provide that information when requested, we may not be able to perform the contract we have or are trying to enter into with you (for example, in order to provide you with our products or services). In this case, we may have to cancel the contract and notify you accordingly. Device & Technical Data. We collect technical information when you visit our websites or use our mobile applications or services. This includes information such as you Internet Protocol (IP) address, your login data, the type of mobile device you use, your device operating system and browser type, time zone setting and location, language, a unique device identifier, the address of a referring website, the path you take through our websites, and other information about your session on our websites. Geolocation Data. We may collect information about your location when your device is set to provide location information. For example, your device’s GPS signal allows us to show you the nearest Subway® restaurant. To assist us in providing proximity based marketing and other location based services we utilize our Service Provider Google’s Maps API per Google’s Terms of Service which you consent to. For most mobile devices and computer systems, you are able to withdraw your permission for us to collect this information by using your browser or device settings. To withdraw your Google Maps API permission setting please follow the procedures in Google’s Terms of Service. If you have any questions about how to prevent us from collecting exact information about your location, we recommend you contact your mobile-device provider, the device manufacturer, or your web-browser provider. Some online services and in-restaurant technology may not work properly without information about your location. We may collect information about you from other companies and organizations, including public databases, social media platforms, our third party marketing partners or various independent purchasing organizations established for the benefit of Subway® franchisees. We may also collect information that is publically available. For example, we may collect public information about your when you interact with us through social media. By collecting additional information about you, we can correct inaccurate information, enhance the security of your transactions, and give you product recommendations and special offers that are more likely to interest you. We may combine the information we receive about you, including information you provide directly to us and information we automatically collect through Subway Services, as well as information collected across other computers or devices that you may use, from other online or offline sources, and from third parties. If we combine your personal information and non-personal information, we will treat the combined information as personal information in accordance with this Privacy Statement. Anonymized and aggregated information does not identify a specific person and is not personal information. We use this type of information for a variety of functions, including measuring users’ interest in and use of Subway Services, conducting internal analysis, data analytics and research. We may also share anonymized or aggregated information with third parties for our or their purposes, but none of this information can be used to identify you or determine anything else personal about you. We may use the information we collect in the following ways. 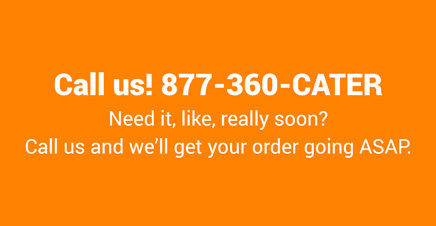 provide customer support, including processing any concerns about our services. monitor and report compliance issues. we may use your personal information if we reasonably believe that there is an inherent security or product issue that we must either disclose to you or the authorities and the use of your information will prevent or potentially minimize the danger to you or others. We may use the information we collect about you in other ways, which we will tell you about at the time we collect it and for which we will seek your consent if required by law. We do not sell any of your personal information including your name, address, email address or credit card information to any third party. The Subway Group may share your information amongst our entities in order to administer our loyalty programs, process orders and requests, and expand and promote our product and service offerings. Members of the Subway Group who receive your personal information are not authorized to use or share the information, except as set out in this Privacy Statement. Subway® Franchisees and Development Agents. If you choose to contact us or submit a survey about your experience in a Subway® franchisee’s restaurant, we may share your information to the Subway® franchisee in order for them to address your request, compliment or complaint. We may also share your information with the Development Agent who oversees the operations of the restaurant. Development Agents are independent contractors of the Subway® franchisor who are responsible for the growth of the franchise in a specific territory. Independent Purchasing Organizations. Depending on your region, we may share your personal information with the applicable independent purchasing organization in your market and their subsidiaries in connection with online purchases, registration of gift cards and the administration of loyalty programs. Third Party Service Providers. We may share your personal information with vendors who provide services to us, such as business, professional or technical support functions. This includes, but is not limited to: service providers that host or operate Subway Services; payment processors; data processing or other information technology services; carrying out research and analysis, providing customer experience management services and personalizing individual customer experiences. We do not allow these vendors to use or share this information for any purpose other than to provide services on our behalf. Other Third Parties: Your personal information may also be shared with our sponsors, partners, advertisers, advertising networks, advertising servers, and analytics companies or other third parties in connection with marketing, promotional, and other offers, as well as product information. Your information may also be shared with third parties we identify at the time you provide your personal information or otherwise with your consent. Sweepstakes, Contests, and Promotions: If you choose to enter into one of our sweepstakes, contests, or other promotions, we may disclose your information to third parties or the public in connection with the administration of such promotion, as required by law, as otherwise permitted by the Promotion’s official rules, or otherwise in accordance with this Privacy Statement. Business Transfers. Your Personal Information is considered a company asset and may be disclosed or transferred to a third party in the event of a proposed or actual purchase, any reorganization, sale, lease, merger, joint venture, assignment, amalgamation or any other type of acquisition, disposal or financing of all or any portion of our business or of any of the business assets or shares (including in connection with any bankruptcy or similar proceeding) of the Subway Group or a division thereof, in order for you to continue to receive the same products and services from, or to continue the same or similar relationship with, the third party. Legal Disclosures. We may disclose your information if we believe that the disclosure is required by law, a subpoena or other legal process, if we believe that the disclosure is necessary to enforce our agreements or policies, or if we believe that the disclosure will help us protect the rights, property or safety of the Subway Group or our customers or partners. When You Consent. We may share your information with other companies if you give us permission or direct us to share the information. The Subway Group remains responsible for the personal information that we share with third parties for processing on our behalf in connection with the operation of our business, and we remain liable under this privacy statement if our third parties process your personal information in a manner inconsistent with the Privacy Shield Principles, unless the Subway Group proves that it is not responsible for the matter giving rise to the damage. We use third parties’ analytics and tracking tools, such as Google Analytics, Adobe Marketing Cloud, Facebook Customer Audience and others, to help us track, segment and analyze usage of the Subway Services, and to help us or those third parties serve more targeted advertising to you on the Subway Services and across the Internet. Those tools may use technology such as cookies, web beacons, pixel tags, log files, Flash cookies, or other technologies to collect and store non-personal information. At our request, these third parties collect, and share with us, usage information about visits to our websites, measure and research the effectiveness of our advertisements, track page usage and paths followed during visits through our websites, help us target our Internet banner advertisements on our websites and on other sites, and track use of our Internet banner advertisements and other links from our marketing partners' sites to our websites. They may also combine information they collect from your interaction with Subway Services with information they collect from other sources. If you have agreed to receive marketing communications from us, you can later opt out by following the opt-out instructions in the marketing communications we send you or you can also contact us by using the contact details provided under the “How to Contact Us” section above. Depending on the Subway Services you use, you may also have the ability to change your communication preferences in the profile section of the online services that you use or in your device settings. Where our mobile applications allow for the delivery of “push notifications”, you can also opt out of receiving these notifications by going into your mobile phone settings and toggling the “Notifications” switch within our mobile application to “off”. If you do opt out of receiving marketing communications from us, we may still send communications to you about your transactions, any accounts you have with us, and any contests, competitions, prize draws or sweepstakes you have entered. Opting out of one form of communication does not mean you’ve opted out of other forms as well. For example, if you opt out of receiving marketing emails, you may still receive marketing text messages if you’ve opted in to receiving them. Please note that if you are receiving communications from a Subway® franchise, then you will need to opt out from them directly. U.S. and Canada. Participation in the Subway® loyalty program is voluntary; you may end your participation in the Subway® loyalty program by using the contact details provided under the “How to Contact Us” section above, in which case any data gathered through the program will be deleted except what we are legally required to keep. Please note that data originating through other non-program interactions may remain with us. International. If you would like to opt out of an international loyalty program, please contact the independent purchasing organization that is responsible for administering the program in the region in which you registered. For a list of all the independent purchasing organizations and their regions, please see the “Information Received from Third Parties” section above. Opt Out By Deletion. You may opt out of all information collected via our app(s) by uninstalling it. You may use the standard uninstall, application, and data management processes available through your mobile device. Once you have uninstalled the app, all the information that is stored in the app is deleted, including any preferences you previously set for location permissions and whether you have allowed us to send you push notifications. Once the app is uninstalled and preferences are deleted, push notifications from the app will stop. You may also refrain from using application features that collect specific types of data. Location Opt Out.You may be able to adjust the settings of your device so that information about your physical location is not sent to us or third parties by (a) disabling location services within the device settings; or (b) denying certain websites or mobile applications permission to access location information by changing the relevant preferences and permissions in your mobile device or browser settings. Please note your location may be derived from your WiFi, Bluetooth, and other device settings. See your device settings for more information. Access Your Personal Information. You can request access to your personal information. This enables you to receive a copy of the personal information we hold about you and to check that we are lawfully processing it. You may reasonably access your personal information by contacting the Subway Group Privacy Office regarding the accuracy of your personal information. Please note that we may request specific information from you to enable us to confirm your identity and right to access, as well as to search for and provide you with the personal information we have about you. Your right to access the personal information that we hold about you is not absolute. There are instances where applicable law or regulatory requirements allow or require us to refuse to provide some or all of the personal information we hold about you. In addition, the personal information may have been destroyed, erased or made anonymous. If we cannot provide you with access to your personal information, we will inform you of the reasons why, subject to any legal or regulatory restrictions. Modify or Update Your Personal Information. We aim to ensure that personal information in our possession is accurate, current and complete. If you believe that the personal information about you is incorrect, incomplete or outdated, you may request the revision or correction of that information. We will use reasonable efforts to revise it and, if necessary, to use reasonable efforts to inform agents, service providers or other third parties, which were provided with inaccurate information, so records in their possession may also be corrected or updated. However, we reserve the right not to change any personal information we consider accurate. Erasure of Your Personal Information. You may ask us to delete or remove personal information where there is no legal reason for us to continue using it. You also have the right to ask us to delete or remove your personal information where you successfully exercised your right to object to processing (see below), where we may have processed your information unlawfully or where we are required to erase your personal information to comply with law. Please note that we may not always be able to comply with your request of erasure for specific legal reasons which we will notify you, if applicable, at the time of your request. Object to Processing Your Personal Information. You may have the right to object to us processing your information in certain circumstances. This right applies when we are processing your personal information based on a legitimate interest (or those of a third party), which you may challenge if you feel it impacts your fundamental rights and freedoms. You also have the right to object where we are processing your personal information for direct marketing purposes. However, in some cases, we may demonstrate that we have compelling legitimate ground to process your information or legal obligations which override your rights and freedoms. Data Portability. You may request the transfer of your personal information to you or a third party. We will provide to you, or a third party you have chosen, your information in a structured, commonly used, machine-readable format. Please note this right only applies to automated information which you initially provided consent for us to use or where we used the information to perform a contract with you. California Resident Privacy Rights. California law permits residents of California to request certain details about how their personal information is shared with third parties or affiliated companies for direct marketing purposes. If you are a California resident and would like to make such a request, please contact us at: privacy@subway.com and include “My California Privacy Rights” in the subject line. Please note that if you opt out of receiving marketing communications from us, we may still send communications to you about your transactions, any accounts you have with us, and any contests, competitions, prize draws or sweepstakes you have entered. Opting out of one form of communication does not mean you’ve opted out of other forms as well. For example, if you opt out of receiving marketing emails, you may still receive marketing text messages if you’ve opted in to receiving them. Please note that if you are receiving communications from a Subway® franchisee, then you will need to opt out from them directly. If you wish to exercise any of the rights set above, please contact us. We will need you to provide specific information to help us confirm your identify. This is a security measure to help ensure that your personal information is not disclosed to someone that does not have the right to receive it. Due to our global operations, your personal information may be transferred to and processed in the United States and other countries that may not provide the same level of data protection as your home country. The Subway Group’s privacy practices are consistent with all applicable country, national, state, and local data protection and security laws. The Subway® Group’s service entity, Franchise World Headquarters (FWH), and our other U.S. affiliates: Doctor’s Associates LLC, Franchisee Shipping Center Co., LLC, FWH Technologies, LLC, Subway Franchisee Advertising Fund Trust, Ltd., Subway IP, Inc., Subway MyWay, LLC, Subway Realty, LLC, Subway Real Estate, LLC, comply with the EU-U.S. and Swiss-U.S. Privacy Shield Framework as set forth by the U.S. Department of Commerce regarding the transfer of personal information from the European Economic Area (EEA) and Switzerland to the United States. Our U.S. affiliates certified that they adhere to the Privacy Shield Principles of notice, choice, accountability for onward transfer, security, data integrity and purpose limitation, access, and recourse and liability. If there is any conflict between the terms of this Privacy Statement and the Privacy Shield Principles, the Privacy Shield Principles shall govern. To learn more about the Privacy Shield Program, and to view our certification page, visit https://www.privacyshield.gov. Franchise World Headquarters and other U.S. affiliates commits to cooperate with EU data protection authorities (DPAs) and the Swiss Federal Data Protection and Information Commissioner (FDPIC) and comply with the advice given by such authorities with regard to human resources and non-human resources data transferred from the EU and Switzerland. In compliance with the EU-US and Swiss-US Privacy Shield Principles, Franchise World Headquarters and other U.S. affiliates commit to resolve complaints about your privacy and our collection or use of your personal information. European Union or Swiss individuals with inquiries or complaints regarding this Privacy Statement should first contact the Subway’s Privacy Office (see “How to Contact Us” above). Franchise World Headquarters and other U.S. affiliates are subject to the investigatory and enforcement powers of the Federal Trade Commission (FTC) with respect to the Privacy Shield. Under certain conditions, if your complaint is not satisfactorily resolved with us directly, you may submit Privacy Shield-related complaints to the attention of your Data Protection Authority (DPA): http://ec.europa.eu/justice/data-protection/article-29/structure/data-protection-authorities/index_en.htm, which will establish a panel to investigate and resolve complaints brought under the Privacy Shield. We will fully comply with the advice given by the DPAs and take necessary steps to remediate any non-compliance with the Privacy Shield Principles. Such independent dispute resolution mechanisms are available to EU and Swiss citizens free of charge. Additionally, you may have a right to invoke binding arbitration under the Privacy Shield. To the extent permitted by applicable law, we retain your personal information as long as (1) it is needed for the purposes for which we obtained it and in accordance with this Privacy Statement or (2) we have another lawful basis, stated in this Privacy Statement or at the point of collection, for retaining that information beyond the period for which it is necessary to serve the original purpose for obtaining the personal information. If the lawful basis for processing that data is based solely on consent, we will delete the personal information if that consent is revoked. Our services are not intended for use by children under the age of 13 or equivalent minimum age depending on the jurisdiction. If you are a parent or legal guardian and believe we may have collected information about your child, please contact us as described in the “How to Contact Us” section above. If we learn that we have inadvertently collected the personal information of a child under 13, or equivalent minimum age depending on the jurisdiction, we will take steps to delete the information as soon as possible. We recognize the importance of maintaining the security of your personal information. We protect your information using security measures, including physical, administrative, and technical safeguards to reduce the risk of loss, misuse, unauthorized access, disclosure or modification of your information. While we have employed security technologies and procedures to assist safeguarding your personal information, no system can be guaranteed to be 100% secure. Please note that we cannot ensure or warrant the security of any information you transmit to us. You use Subway Services and provide us with your information at your own risk. Sandwich and Salad Franchises of South Africa (Proprietary) Ltd. Subway Brand Management & Consultant (Shanghai) Co., Ltd. 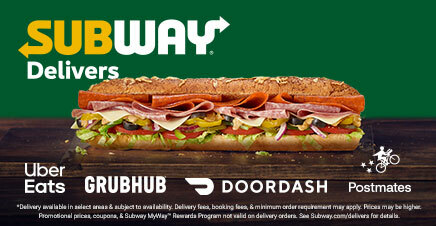 Subway Franchisee Advertising Fund of Australia Pty. Ltd. Subway Franchisee Advertising Fund Trust Ltd. Subway International de Mexico, S. de R.L. de C.V. Subway Realty e Desenvolvimento de Software do Brasil Ltda. Subway Realty of Italy S.r.l. Subway Realty of Spain, S.L.U. Subway Systems Australia Pty. Ltd. Subway Systems do Brasil Ltda. Subway Restaurant Management (Shanghai) Co. Ltd. Subway Systems Singapore Pte. Ltd. Thank you for reading our Privacy Statement. If you have any questions about this Statement or about how we process personal information, please contact us by using the contact details provided under “How to Contact Us”, which is located at the top of this document. If we are unable to resolve your concerns, you have the right to contact a data privacy supervisory authority in the country where you live or work, or where you consider that the data protection rules have been breached or seek a remedy through the courts. This Privacy Notice does not apply to the Subway® Group’s prospective and current employees, Subway® restaurant employee applicants or employees, DA employees, consumers, or other personal information we collect for other purposes. All franchisees and DAs must be at least the minimum age to enter into a contract under applicable law and therefore, this privacy notice also does not apply to any individual under the age of eighteen. Please note all information, including personal information submitted by you as part of the application process, may become part of your franchise and/or DA file. Generally, we collect your personal information directly from you (for example, during the franchisee or DA application process, or registering for training). In some instances, the personal information we collect has been inferred about you based on other information you provided us, either through your interactions with us, or from third parties. When we collect your personal information from third parties it is either because you have given us express consent to do so, your consent was implied by your actions, or because you provided explicit or implicit consent to the third party to provide the personal information to us. The purpose of a legitimate interest we are pursuing. We also reserve the right to monitor the use of our premises, equipment, devices, computers, network, applications, software, and similar assets and resources. In the event such monitoring occurs, it may result in the collection of personal information about you. This monitoring may include the use of CCTV cameras in and around our premises. Respond to requests about Subway® Group franchising and DA opportunities. Conduct criminal & credit background checks (e.g. OFAC searches) as permitted or required by law. Establish and manage your accounts (e.g. extranet access, financial accounts, etc.). Verify your identity, such as on service calls, login credentials, convention registration, etc. Provide products and services to assist with your operations, such as training and marketing. Perform data analyses (including market research, trend analysis and financial analysis). Operate, evaluate and improve our business (including developing new products and services, managing our communications, determining the effectiveness of our sales, marketing and advertising; analyzing and enhancing our products, services and Sites; and performing accounting, auditing, billing, reconciliation and collection activities). Prevent fraud and other criminal activity, claims and other liabilities. Enforce our contracts with you and seek indemnity from you under those contracts. Comply with applicable legal requirements, (including franchise disclosure laws) and our policies (e.g. national security, tax purposes, etc.). Additionally, we may process sensitive information (such as race or nationality) if it is needed for business objectives or if it is required to comply with applicable law. For example, we may process information related to race for diversity reporting. Sensitive information will not be collected, processed or transferred, except where adequate privacy protection mechanisms are in place and is permitted by law. When you request us or provide your consent to do so. As necessary to complete any transaction or provide any product or service you request or authorize. Among our affiliates and subsidiaries, which may involve transferring personal information from one country to another. To DAs to facilitate franchise sales, site location assistance, training, and operational assistance in their territories. With our customers when addressing their comments and/or complaints about their experience at your store. To our contractors and third party service providers who need to know in order to carry out the uses of personal information (see How We Use Your Personal Information). For example, we provide updated franchisee contact information to search engine and social networking service providers to improve store and location information available on their sites. Where the personal information is public. To professional advisors (e.g. bankers, lawyers, accountants). As part of a corporate transaction such as a merger or sale of assets. Protect the rights or property of the Subway® Group. Your personal information may be kept in hard copy or electronic format within Headquarters, Regional Offices, or in the cloud which may be located in the United States or other countries where Subway® affiliates, agents, or contractors conduct business. We may transfer personal information from the European Economic Area and Switzerland to other countries, some of which have not been determined by the European Commission to have an adequate level of data protection. When we do, we use a variety of legal mechanisms, including contracts, to help ensure your rights and protections travel with your information. Franchise World Headquarters, LLC (“FWH”), on its own behalf and on behalf of the U.S. members of the Subway® Group: Doctor’s Associates LLC, Franchisee Shipping Center Co., LLC, FWH Technologies, LLC, Subway Franchisee Advertising Fund Trust, Ltd., Subway IP, Inc., Subway MyWay, LLC, Subway Realty, LLC, Subway Real Estate, LLC, complies with the EU-US and Swiss-US Privacy Shield Frameworks as set forth by the U.S. Department of Commerce regarding the collection, use, and retention of personal information transferred from the European Union and Switzerland to the United States. FWH, on its own behalf and on behalf of the U.S. members of the Subway® Group, has certified to the Department of Commerce that it adheres to the Privacy Shield Principles. If third-party agents process personal information on our behalf in a manner inconsistent with the principles of either Privacy Shield Framework, we remain liable unless we prove we are not responsible for the event giving rise to the damage. If you have a question or complaint related to FWH or other U.S. members of the Subway® Group’s participation in the EU-U.S. or Swiss-U.S. Privacy Shield, we encourage you to contact the Subway® Group’s Privacy Officer (see Contact Information below). For any complaints related to Privacy Shield frameworks that cannot be resolved with the Subway® Group directly, You may submit Privacy Shield-related complaints to the attention of your Data Protection Authority: http://ec.europa.eu/justice/data-protection/article-29/structure/data-protection-authorities/index_en.htm, which will establish a panel to investigate and resolve complaints brought under the Privacy Shield. We will fully comply with the advice given by the DPAs and take necessary steps to remediate any non-compliance with the Privacy Shield Principles. Such independent dispute resolution mechanisms are available to EU and Swiss citizens free of charge. Additionally, you may have a right to invoke binding arbitration under the Privacy Shield. FWH on its own behalf and on behalf of the U.S. Members of the Subway® Group are subject to the investigatory and enforcement powers of the U.S. Federal Trade Commission (FTC). Except as otherwise permitted or required by applicable law, we may retain your personal information only for as long as we believe it is necessary to fulfill the purposes for which it was collected or for the other essential purposes such as complying with our legal obligations, resolving disputes, and enforcing our agreements. You may request that we delete the personal information about you that we hold. There are instances where applicable law or regulatory requirements allow or require us to refuse to delete this personal information. In the event we cannot delete your personal information, we will inform you of the reasons why, subject to any legal or regulatory restrictions. Although “guaranteed security” does not exist, we are committed to protecting the security of the personal information we collect about you, and we take reasonable physical, electronic, and administrative safeguards (including all steps required by law) to help protect your personal information from unauthorized or inappropriate access, use, loss or modification. You may reasonably access your personal information by contacting the Subway® Group’s Privacy Officer regarding the accuracy of your personal information. Please note that we may request specific information from you to enable us to confirm your identity and right to access, as well as to search for and provide you with the personal information we have about you. We endeavor to ensure that personal information in our possession is accurate, current and complete. If you believe that the personal information about you is incorrect, incomplete or outdated, you may request the revision or correction of that information. We will use reasonable efforts to revise it and, if necessary, to use reasonable efforts to inform agents, service providers or other third parties, which were provided with inaccurate information, so records in their possession may also be corrected or updated. However, we reserve the right not to change any personal information we consider accurate. If you have concerns about how we process your personal information or sensitive information, please contact the Subway® Group’s Privacy Officer. We will try to find a reasonable way to address your concerns. However, we must process personal information where required by law. In other cases, if we cannot process your personal information, you may be denied certain benefits. If you believe that your personal information is not handled in accordance with applicable law or our Privacy Statement, you may submit a complaint to the Subway® Group’s Privacy Officer. We will investigate the complaint. We may change this Privacy Notice at any time. The effective date of each version of this Privacy Notice is identified below as the “Last Revised” date and will take effect immediately after being posted. Subway Realty of the Netherlands B.V. Subway International Equipment Leasing B.V. Subway Realty of South Africa Pty. Ltd.
How you can access and update that information. This Privacy Notice only applies to the Personal Information of job applicants, potential candidates for employment, and our optional recruiting programs and events. 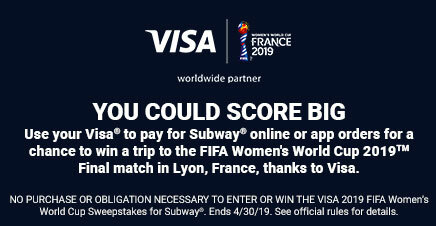 It does not apply to Subway® restaurant applicants or employees, consumers, Franchisees, Development Agents and their employees, or other personal information Subway® collects for other purposes. “Subway®” means the specific Subway® affiliates, subsidiaries, and contracted service providers who will collect, use and maintain your Personal Information in connection with your application for employment, our recruiting, talent management processes, and any hiring process if you are extended an offer of employment. You have read and understood this Privacy Notice and agree to the use of your Personal Information as set out herein. Your Personal Information may be transferred and processed worldwide, including countries that may not be deemed to provide the same level of data protection as your home country, for the purposes and in the manner specified in this Privacy Notice. You are not required to provide any requested information to us, but failing to do so may result in not being able to continue your candidacy for the job for which you have applied. All of your representations are true and correct to the best of your knowledge and belief, and you have not knowingly omitted any related information of an adverse nature. Providing any inaccurate information may make you ineligible for employment. This Privacy Notice does not form part of any contract of employment offered to candidates hired by Subway®. As used in this Privacy Notice, “Personal Information” means information that identifies job applicants and potential candidates for employment with us, either submitted as part of the online application and/or through alternative channels (e.g., written application or via professional recruiting firms). To the extent you make Sensitive Personal Information available to Subway®, you consent to Subway® processing such information in accordance with this Privacy Notice. Generally, we collect your personal information directly from you in circumstances where you provided information (e.g. during the application process). However, Subway® may need to obtain Personal Information about you from third parties in order to supplement, update or verify your information, and/or to process your application for consideration as a Subway® employee. Applicable law may require that you authorize a third party to share your Personal Information with the Subway® before we can acquire it. Failure to provide any requested information may negatively impact consideration of your employment application. By applying to become an employee of Subway®, you consent to our collection, use, and disclosure of your Personal Information in this manner. We do not intend for our employment services to be used by anyone under the age of 13. If you are a parent or guardian and believe we may have collected information about a child, please contact us as described in the “Contact Information” section, below. even if we do not employ you, we may nevertheless continue to retain and use your Personal Information in accordance with specific country requirements for system administration purposes, to consider you for potential future roles, and to perform research. All information, including Personal Information submitted by you as part of the application process, will become part of your employee file should you become an employee. Employees’ Personal Information is governed by separate policies and not by this Prospective Employees Privacy Notice. In general, access to your Personal Information will be restricted to minimize the number of people in Subway® Group who need it in order to evaluate your application for employment or perform functions supporting our recruiting and talent managing functions. To carry out its hiring and recruiting processes and programs, the affiliated entities within the Subway® may share your Personal Information amongst themselves. We do not sell or otherwise share your Personal Information, except as described in this Privacy Notice. We may share the Personal Information we obtain with our affiliates for the purposes described in this Privacy Notice. We also share Personal Information with third parties who perform services on our behalf based on our instructions. These third parties are not authorized by us to use or disclose the information except as necessary to perform services on our behalf or comply with legal requirements. Subway® may be required to disclose certain Personal Information to other third parties (i) as required by law; (ii) to protect Subway®’s legal rights to the extent authorized or permitted by law; or (iii) in an emergency where the health or safety of a prospective employee or other individual may be endangered. In addition, we reserve the right to transfer any information we have about you in the event we sell or transfer all or a portion of our business or assets (including in the event of a reorganization, dissolution or liquidation). Due to our global operations, prospective employee Personal Information may be transferred to and processed in the United States and other countries that may not be deemed to provide the same level of data protection as your home country. Subway® maintains and applies data protection standards regarding prospective employee Personal Information consistent with those specified in this Privacy Notice to its operations globally. Additionally, Subway®’s Franchise World Headquarters and other U.S. affiliates: Doctor’s Associates LLC, Franchisee Shipping Center Co., LLC, FWH Technologies, LLC, Subway Franchisee Advertising Fund Trust, Ltd., Subway IP, Inc., Subway MyWay, LLC, Subway Realty, LLC, Subway Real Estate, LLC, comply with the EU-US and Swiss-US Privacy Shield Frameworks and adheres to the Privacy Shield Principles as set forth by the U.S. Department of Commerce (“DoC”) and the Federal Trade Commission (“FTC”) regarding the collection, use, and retention of personal information transferred from the European Union (“EU”) and Switzerland to the United States, respectively. If there is any conflict between the terms in this Privacy Notice and the Privacy Shield Principles, the Privacy Shield Principles shall govern. To learn more about the Privacy Shield Program, and to view our certification page, visit https://www.privacyshield.gov. In compliance with the EU-US and Swiss-US Privacy Shield Principles, Franchise World Headquarters and other U.S. affiliates commit to resolve complaints about your privacy and our collection or use of your personal information. European Union or Swiss individuals with inquiries or complaints regarding this Privacy Notice should first contact the Subway® Group’s Privacy Officer (see Contact Information below). Franchise World Headquarters and other U.S. affiliates are subject to the investigatory and enforcement powers of the Federal Trade Commission (FTC) with respect to the Privacy Shield. Under certain conditions, if you complaint is not satisfactorily resolved with us directly, you may submit Privacy Shield-related complaints to the attention of your DPA: http://ec.europa.eu/justice/data-protection/article-29/structure/data-protection-authorities/index_en.htm, which will establish a panel to investigate and resolve complaints brought under the Privacy Shield. We will fully comply with the advice given by the DPAs and take necessary steps to remediate any non-compliance with the Privacy Shield Principles. Such independent dispute resolution mechanisms are available to EU and Swiss citizens free of charge. Additionally, you may have a right to invoke binding arbitration under the Privacy Shield. Except as otherwise permitted or required by applicable law or regulatory requirements, Subway® endeavors to retain your Personal Information only for as long as it believes is necessary to fulfill the purposes for which your Personal Information was collected as outlined in this Privacy Notice. We may, instead of destroying or erasing your Personal Information, make it anonymous such that it cannot be associated with or tracked back to you. You may reasonably access your personal information by contacting the Subway® Group’s Privacy Officer with regard to the accuracy of your personal information. Your right to access the personal information that we hold about you is not absolute. There are instances where applicable law or regulatory requirements allow or require us to refuse to provide some or all of the personal information we hold about you. In addition, the personal information may have been destroyed, erased or made anonymous. In the event that we cannot provide you with access to your personal information, we will information you of the reasons why, subject to any legal or regulatory restrictions. Subway® generally does not make recruiting or hiring decisions based solely on automated decision-making within the meaning of the EU Data Protection Directive. In the event that Subway® relies solely on automated decision-making that could have a significant impact on you, we will provide you an opportunity to express your views and will provide any other safeguards required by law. You may withdraw consent to the processing of your Personal Information or submit inquiries, complaints and/or objections to the processing of your Personal Information by contacting the Subway® Group’s Privacy Officer. We will try to find a reasonable way to address your concerns. However, we must process personal information where required by law. In other cases, if we cannot process your personal information, you may be denied employment. Sandwich and Salad Franchises of South Africa ( Proprietary) Ltd.
We use this information to help us recognize you, customize and improve your experience, provide security, analyze usage of our Services (such as to analyze your interactions with the results, reports, and other features of the Services), gather demographic information about our user base, to offer our Services to you, to monitor the success of marketing programs, and to serve targeted advertising on our site and on other sites around the Internet. To learn more about targeted advertising, please read the Subway Group’s Privacy Statement. Strictly Necessary: These cookies are necessary for the website to function and cannot be switched off in our systems. They are usually only set in response to actions made by you which amount to a request for services, such as setting your privacy preferences, logging in or filling in forms. You can set your browser to block or alert you about these cookies, but some parts of the site will not then work. These cookies do not store any personally identifiable information. A preference cookie is required to maintain a record of your Do Not Track preferences, so that we may respect them for future visits. Functionality (such as language preference): These cookies help us customize our Website content based on a user's preferences. They remember the user's choices, their language, the country pages visited, and any changes the user makes to text size or other parts of our Website pages. The information these cookies collect may be anonymized and they cannot track browsing activity on other websites. Performance cookies (such as those used for Google Analytics): These cookies collect information on how users use our Website, in order to help us fix technical issues or errors, and highlight areas such as navigation where we can improve our Website. For example, Google Analytics uses cookie identifiers to track the number of visitors to the Website, providing us with the volumes and sources of web page traffic. This allows us to analyze web traffic patterns and run tests to optimize web pages and visits against key metrics. The information collected by Google Analytics itself is anonymous, but if you respond to a marketing email, then a random ID is generated for Google Analytics which we can use along with your email address to manually identify you from other information we already hold in your customer profile. We may then use this information to generate potential sales leads or advertising. Interest-Based Advertising / Targeting (such as those used by advertising platforms we may use, such as Facebook or Twitter): These cookies may be set through our site by our advertising partners. They can be used and shared by those companies to build a profile of your interests and show you relevant adverts on other sites. This is based on uniquely identifying your browser and internet device. The website or domain owner can then use the information to try and draw certain conclusions about you, such as, what you might be interested in. For example: after reviewing the information that was sent to the website or domain owner, they might conclude that you are a football fan, a health and fitness enthusiasts, or a person who loves to travel. If you do not allow these cookies, you will experience less targeted advertising. For more information about digital advertising visit AdChoices at: https://www.youradchoices.com. Social Media: We allow users to share our Website on social media such as Facebook and Twitter through the use of their cookies. These cookies are not within our control. Please refer to the respective privacy policies of the social media provider for how their cookies work. To find out more about cookies and your privacy on the web, visit the online resource All About Cookies. First Party Tracking. To opt out of first party tracking (that is, tracking with cookies placed by Subway) on our websites, you may be able to opt out by adjusting the appropriate settings in your browser. Each browser is different, but many common browsers (Internet Explorer, Chrome, Firefox, and Safari) have preferences or options that may be adjusted to allow you to either accept or reject cookies and certain other technologies before they are set or installed or allow you to remove or reject the use or installation of certain technologies altogether. If you want to learn the correct way to modify your browser settings, please use the Help menu in your browser. Adobe Flash Player Technology. We allow Adobe to set and enable special cookies that are necessary to deliver video content for Adobe Flash Player. You cannot remove Flash cookies simply by changing your browser settings. If you would like to limit the websites that can store information in Flash cookies on your device, you must visit the Adobe website: http://www.macromedia.com/support/documentation/en/flashplayer/help/settings_manager07.html. "Do Not Track" Technology. Some newer web browsers have a "Do Not Track" preference that transmits a "Do Not Track" header to the websites you visit with information indicating that you do not want your activity to be tracked. However, we currently do not respond to browser "Do Not Track" signals.